The man who calls himself Nicholas Trainer-bees is becoming something of a legend among both beekeepers and cannabis enthusiasts. He claims he has trained his bees to make honey from weed. That’s because he’s been able to do what many have talked about, but no one has been able to pull off. Nicholas is a 39-year-old man who lives in France. In addition to being a beekeeper, an artist, and a locksmith, he’s also an outspoken supporter of marijuana. 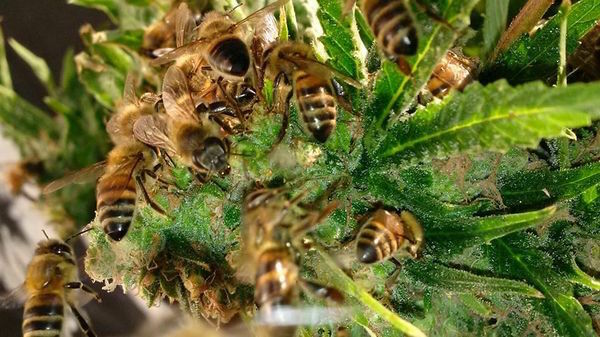 Check out the video below of his bees flocking to some sweet juicy cannabis flowers. He said that as a child he got into a lot of trouble at school because he’s hyperactive. Eventually, he dropped out. But he soon discovered that cannabis could help him cope with his condition. Recognizing that honey is another all-natural substance with tons of potential health benefits, Nicholas decided that honey and cannabis would be the perfect things to combine. Before he obtained his first results, some people dared to say that cannabis was harmful to bees. He was entirely convinced that was not the case, but he had to wait two years until the project was well consolidated and he was able to demonstrate that the plants had no adverse impact on the insects. “The bees that produce the cannahoney are not affected by cannabinoids because they do not have an endocannabinoid system,” he explains. If cannahoney lives up to its name, it could essentially be the first-ever all-natural cannabis edible. 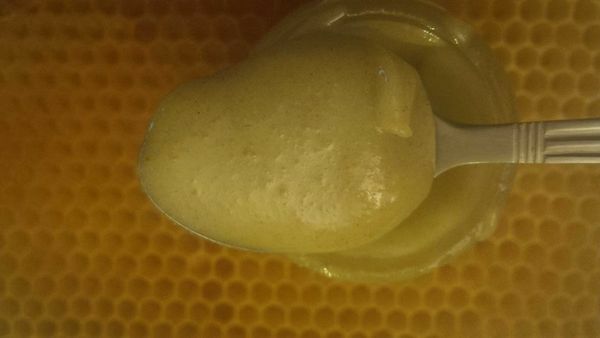 And since Nicholas reports that his bees will take to virtually any strain, there are limitless possibilities for creating different kinds of cannahoney.